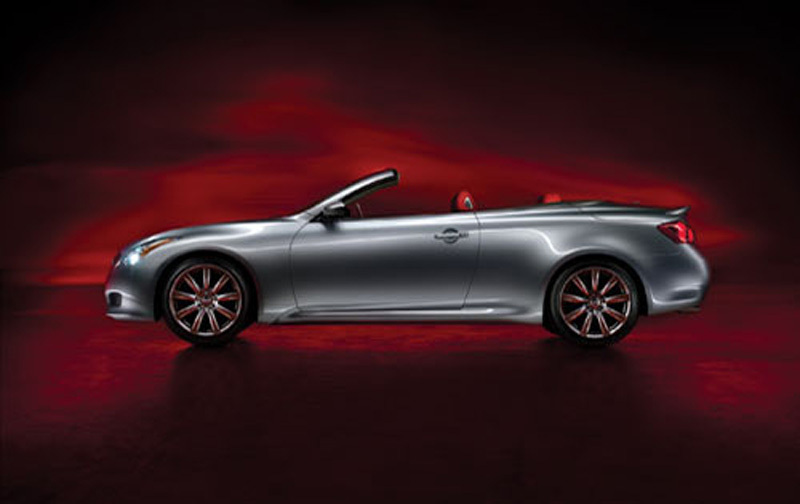 Infiniti and Bloomingdales have teamed up to offer a limited edition Infiniti G37 convertible. This drop-top will be sold exclusively through Bloomingdales and only 200 models will be made. The G37 convertible premiere will be equipped with theÂ same mechanics as the regular production version with many additions to the exterior and interior. The G37 Convertible PremiereÂ model comes with a suite of upgrades such as Platinum Graphite paint, special 19-inch wheels, a new grille, touchscreen navigation, Bose Open Air sound system. Bloomingdale’s G37 Convertible Premiere goes on sale November 10th. Pricing has not been announced.